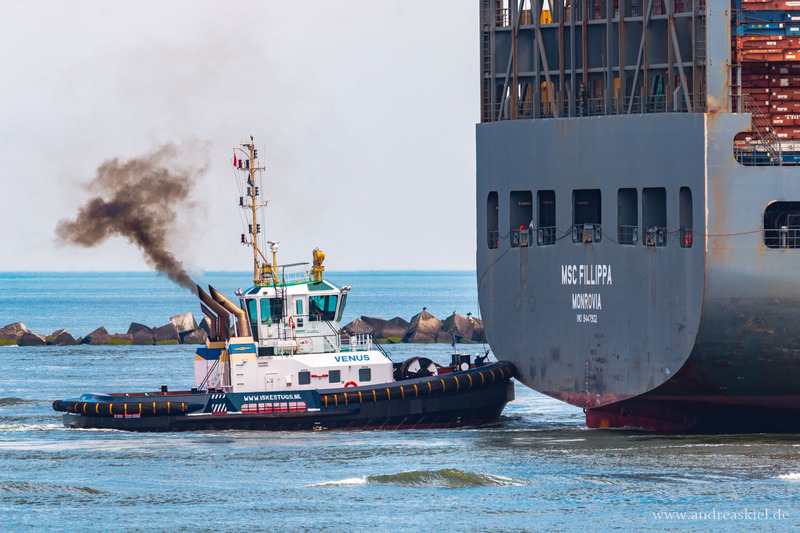 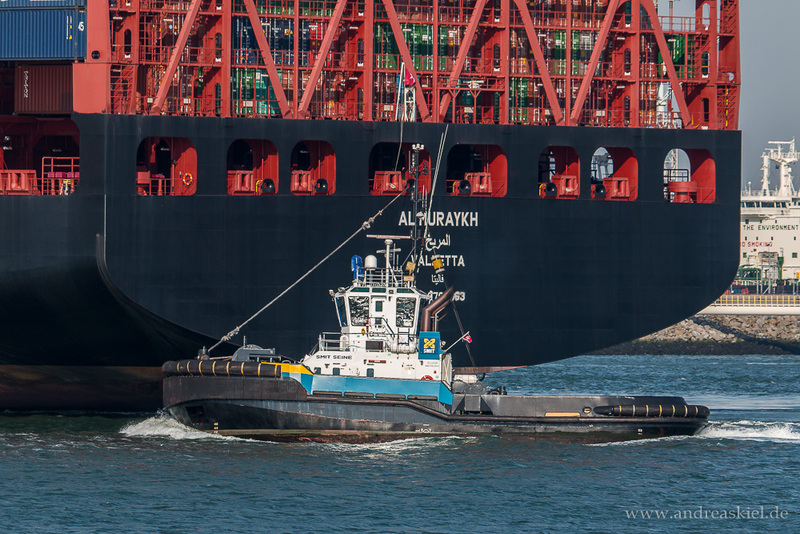 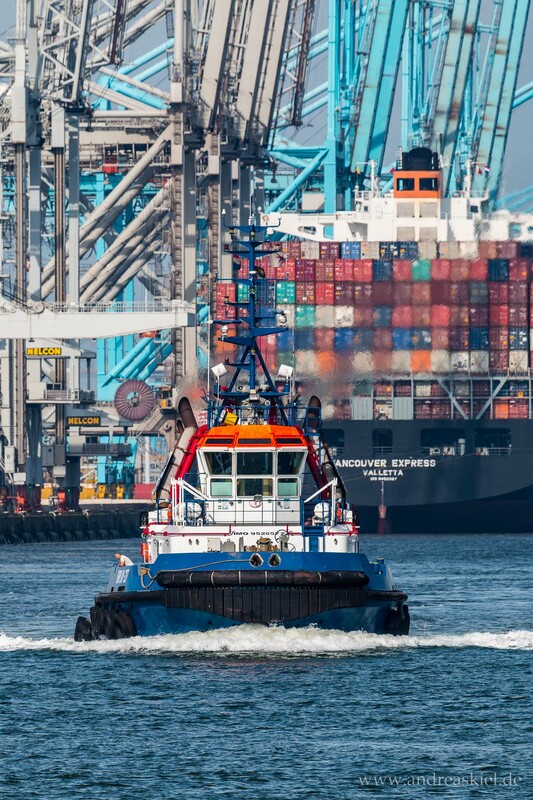 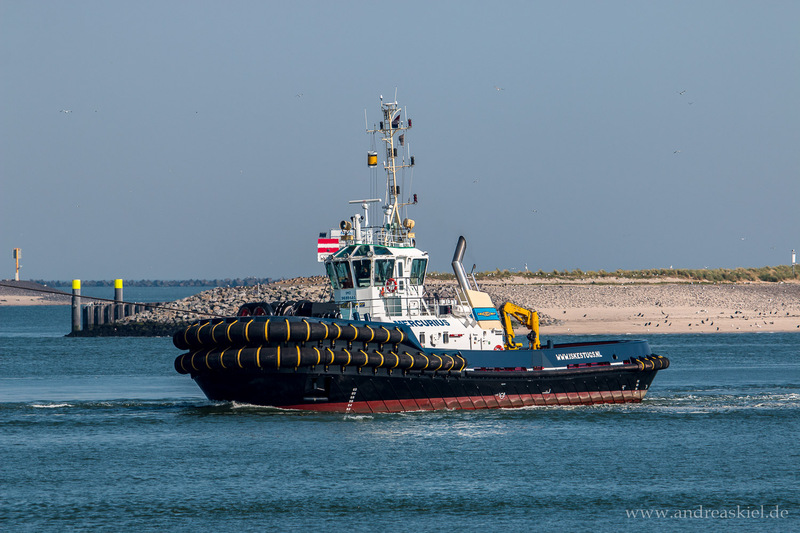 Have a look at my shipspotting photos of tugs mostly taken in the Port of Rotterdam (Europoort) but also at Kiel-Canal or Port of Kiel. 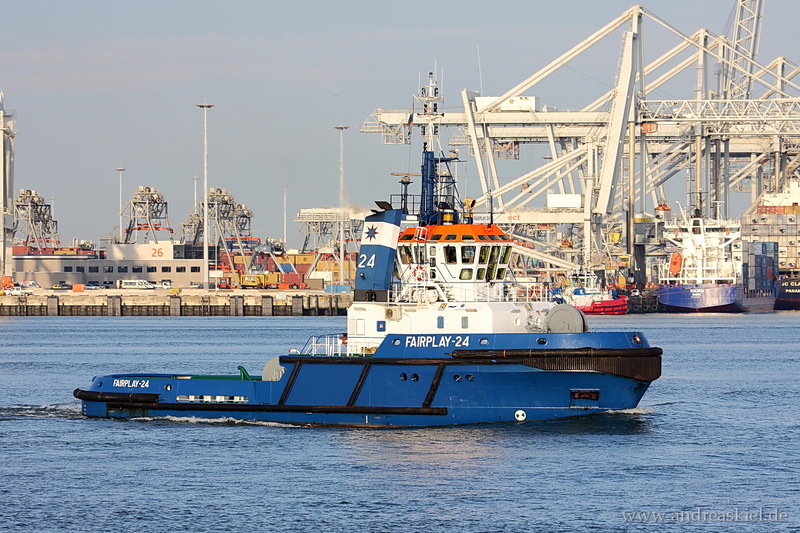 Fairplay-27 (Tug, 36m x 12m, IMO:9520572 ) captured 08.07.2018. 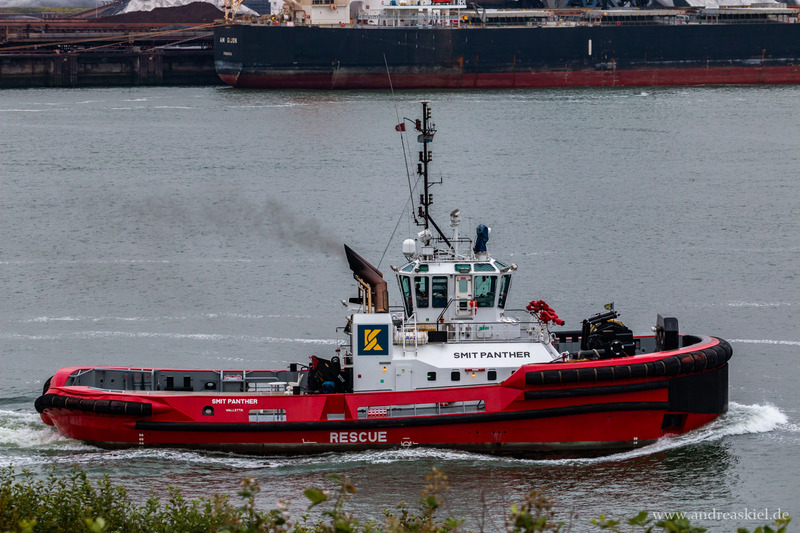 Smit Panther (Tug, 32m x 13m, IMO:9434814) captured 19.08.2011. 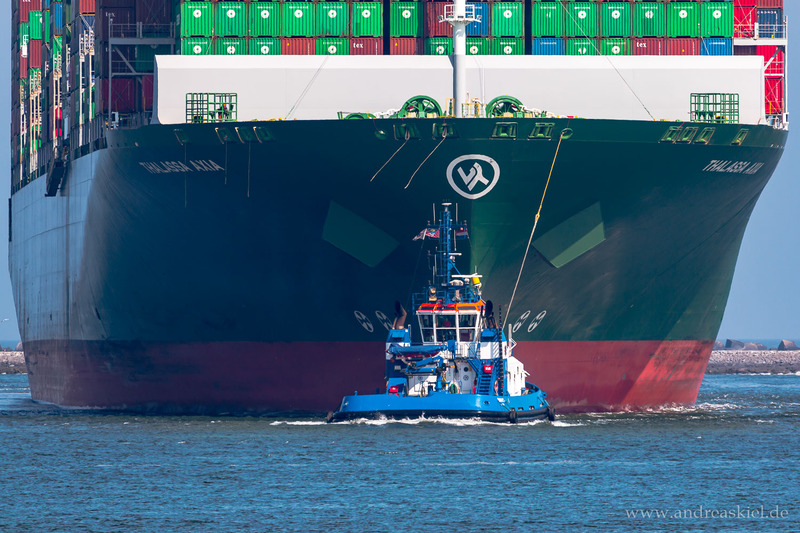 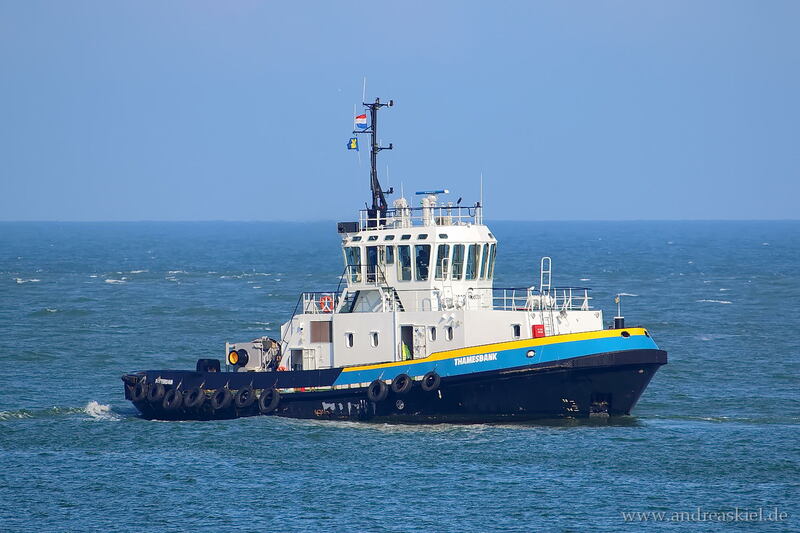 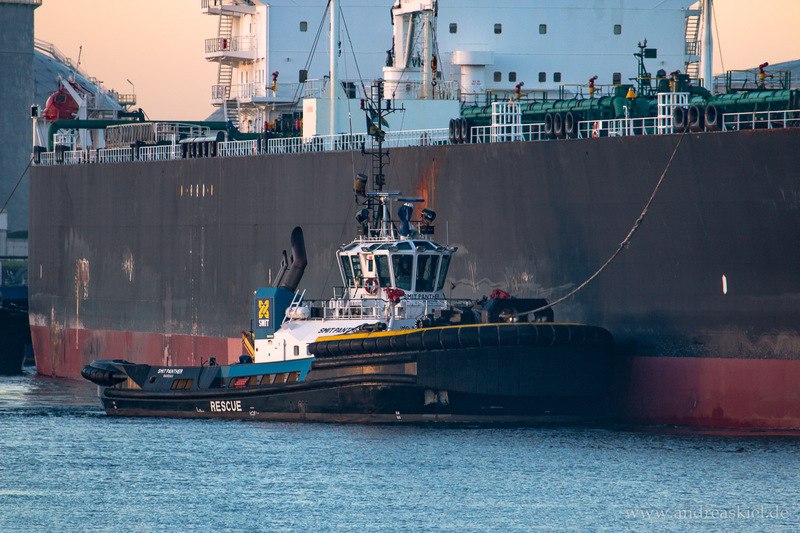 Venus (Tug, 24m x 11m, IMO:9681053) captured 12.05.2018. 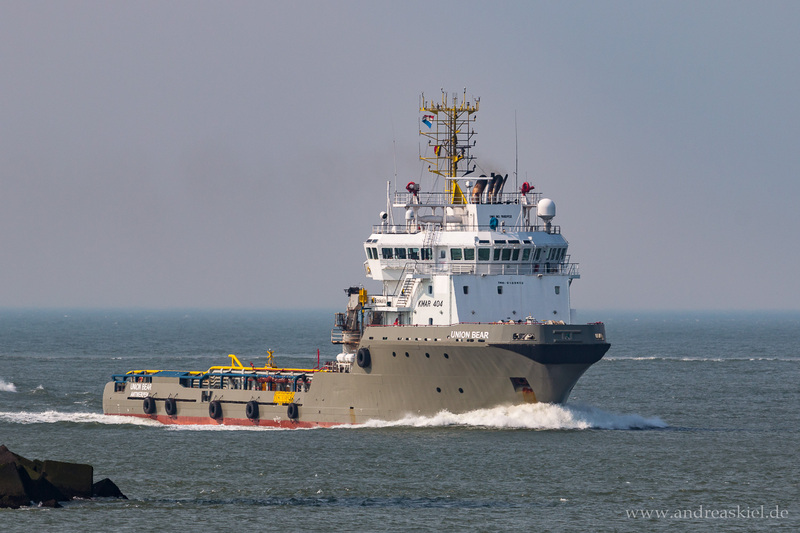 Vos Prelude (Offshore Tug Supply Ship, 73m x 16m, IMO:9444340) captured 08.07.2018. 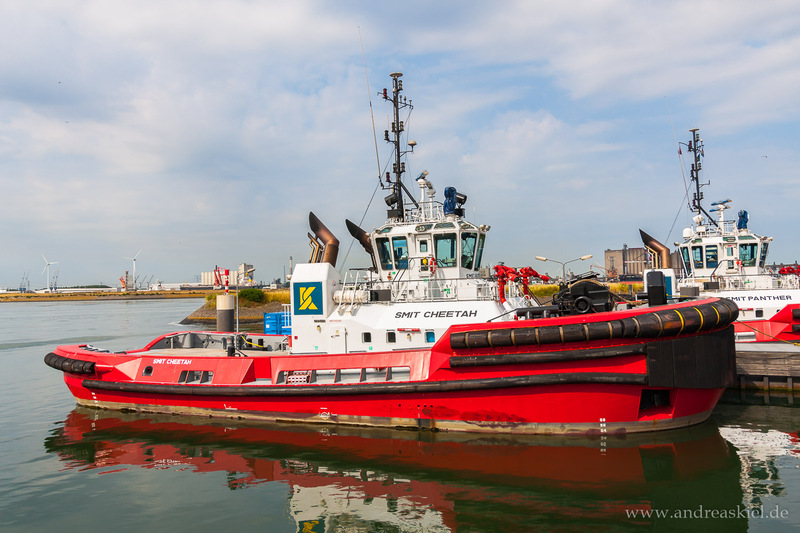 Smit Cheetah (Tug, 32m x 13m, IMO:9454876) captured 08.07.2018. 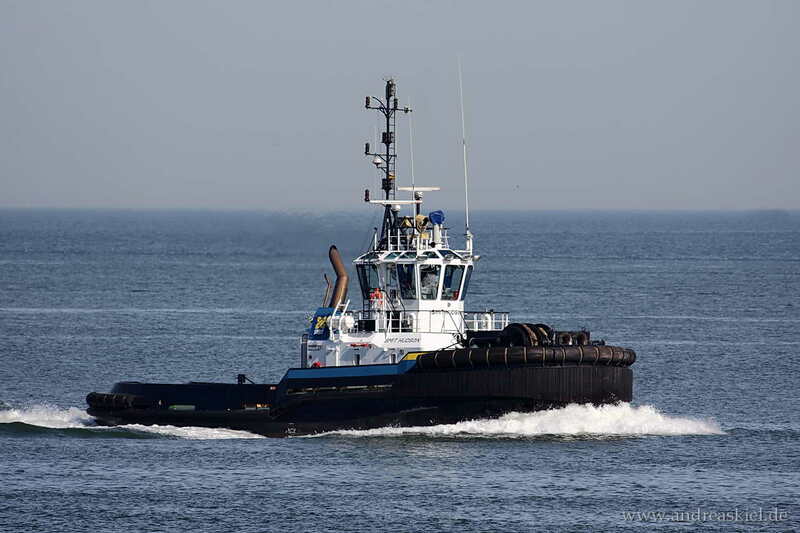 Smit Cheetah (Tug, 32m x 13m, IMO:9454876) captured 07.07.2018. 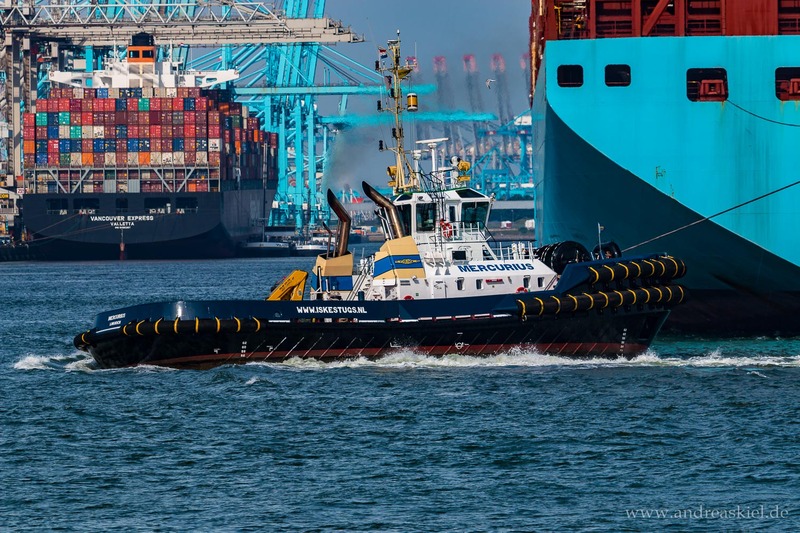 Stein (Tug, 28m x 8m, IMO:9241243) captured 02.04.2017. 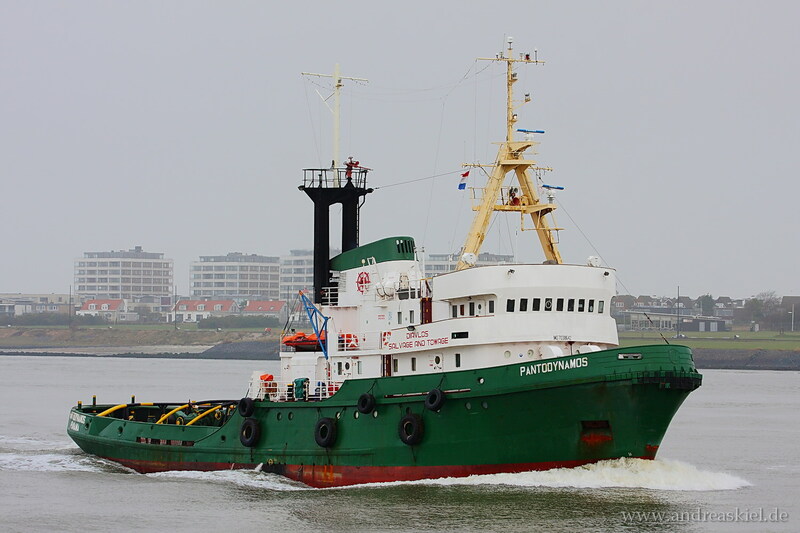 Fairplay-21 (Tug, 35m x 12m, IMO:9148752) captured 11.04.2016. 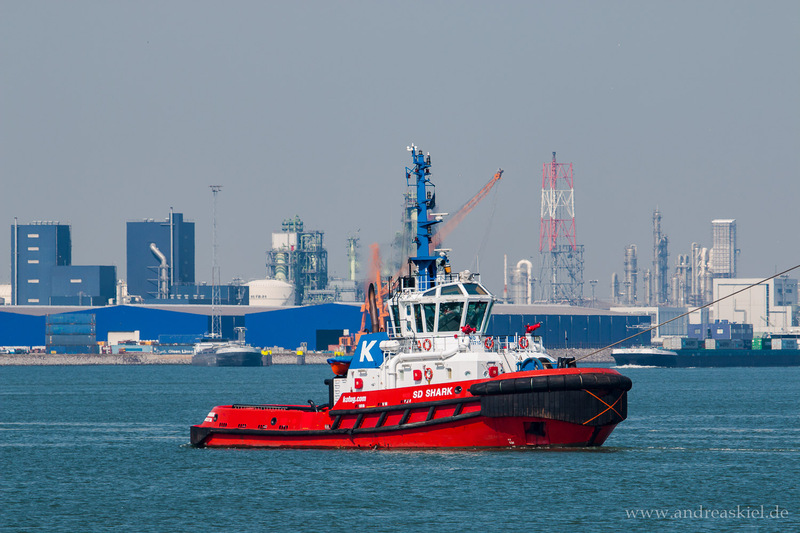 Mercurius (Tug, 32m x 12m, IMO:9695523) captured 11.06.2015. 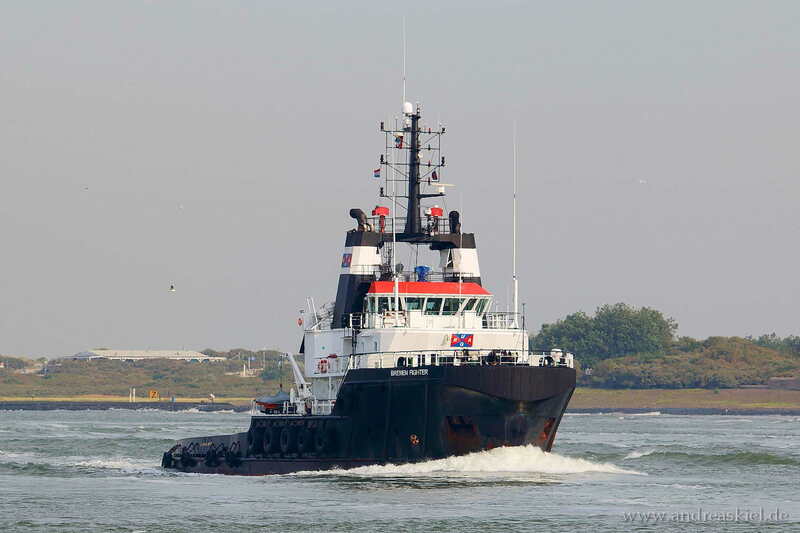 SD Stingray (Tug, 32m x 12m, IMO:9448176) captured 15.09.2016. 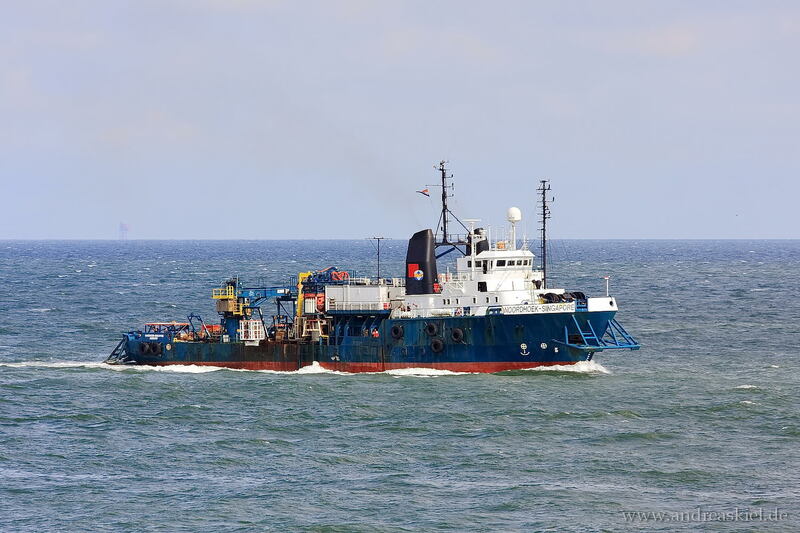 Union Bear (Offshore Supply Tug, 76m x 16m, IMO:9185932) captured 11.04.2016. 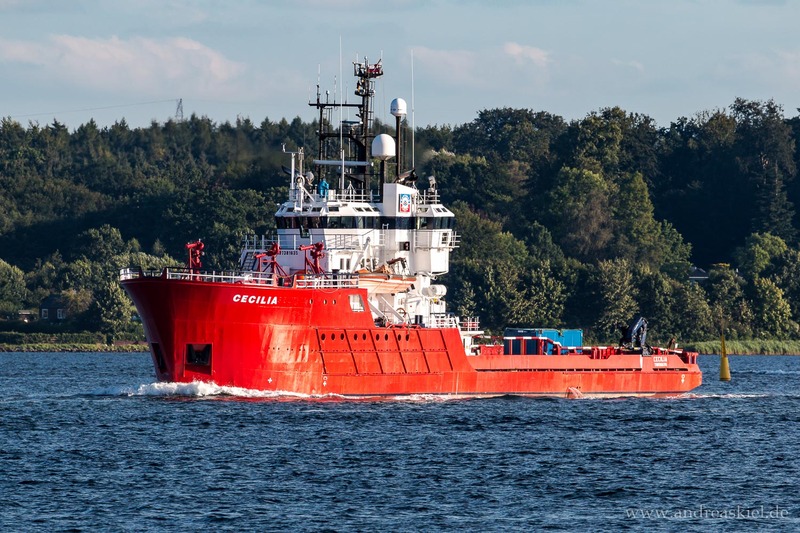 Cecilia (Offshore Tug Supply Ship, 61m x 11m, IMO:7381635) captured 30.07.2016. 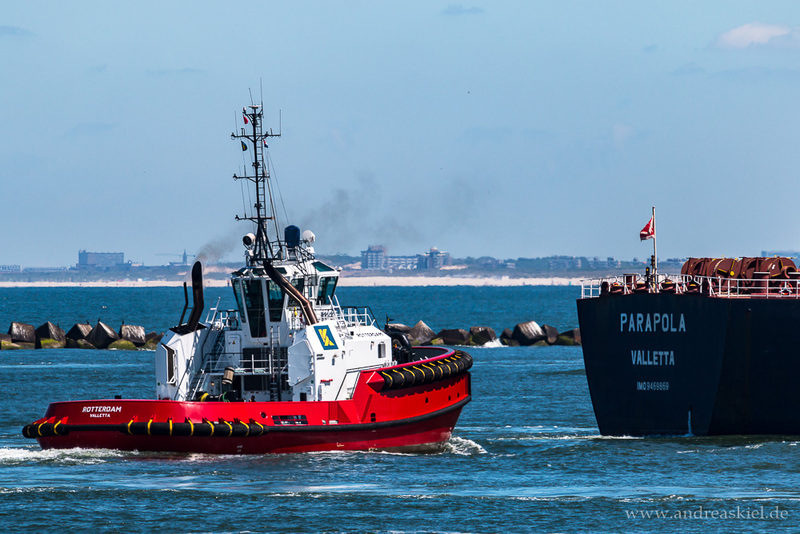 Fairplay-24 (Tug, 35m x 11m, IMO:9153616) captured 10.07.2016. 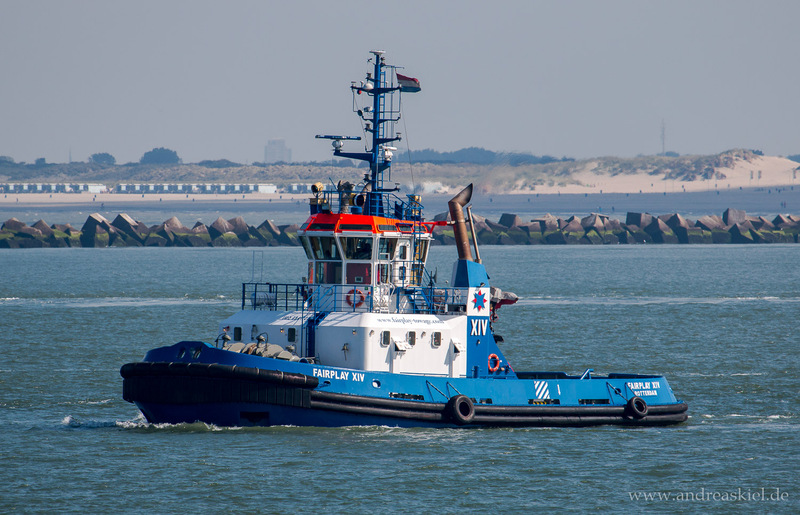 Mercurius (Tug, 32m x 12m, IMO:9695523) captured 09.07.2016. 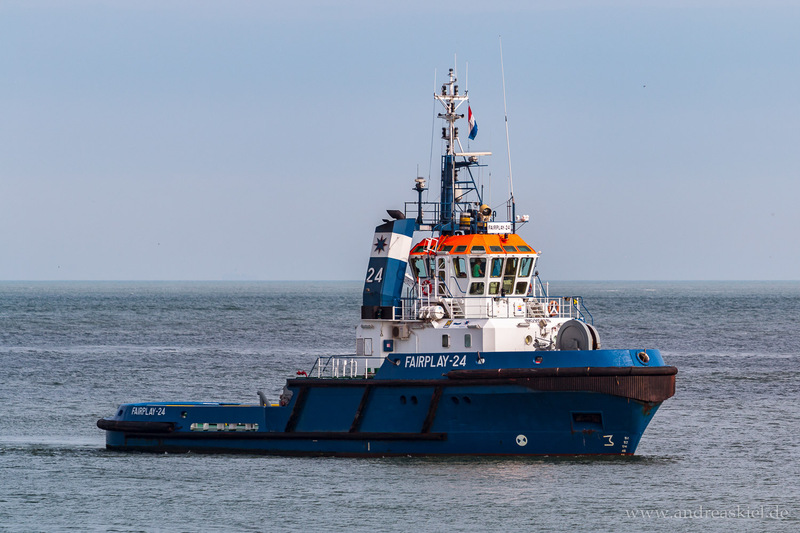 Fairplay-27 (Tug, 36m x 12m, IMO:9520572 ) captured 09.07.2016. 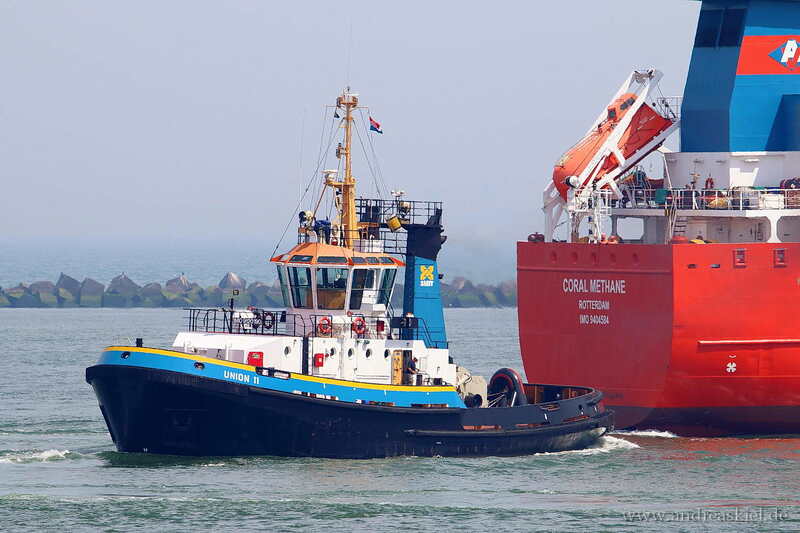 Smit Seine (Tug, 28m x 11m, IMO:9476393) captured 11.04.2016. 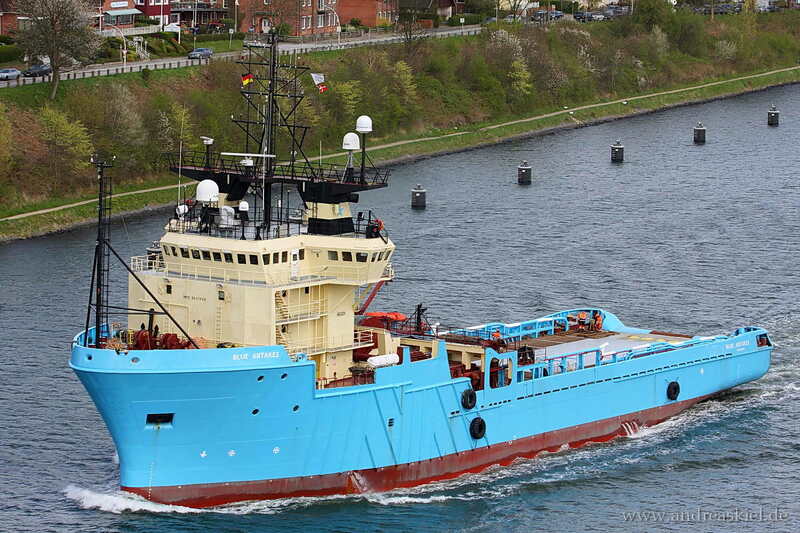 SD Shark (Tug, 32m x 12m, IMO:9410715) captured 12.06.2015. 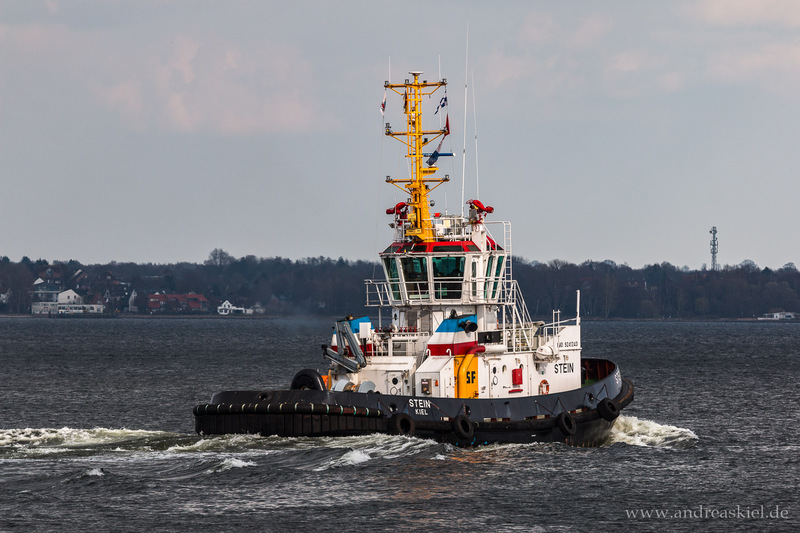 Mercurius (Tug, 32m x 12m, IMO:9695523) captured 12.06.2015. 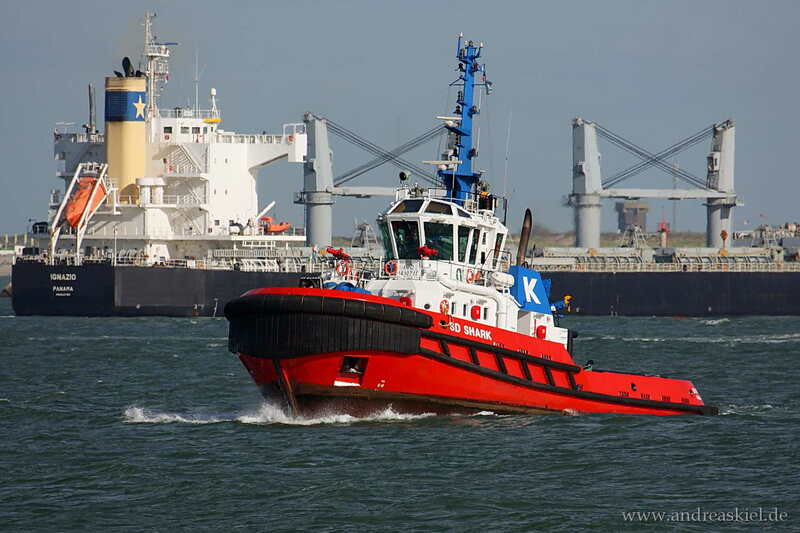 Fairplay XIV (Tug, 25m x 12m, IMO:9541708) captured 12.09.2014. 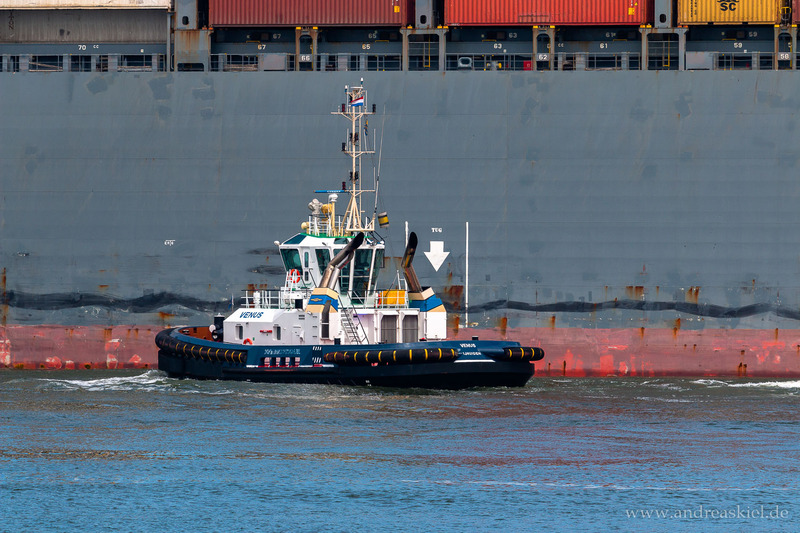 Bluster (Tug, 70m x 16m, IMO:8516976) captured 12.06.2015. 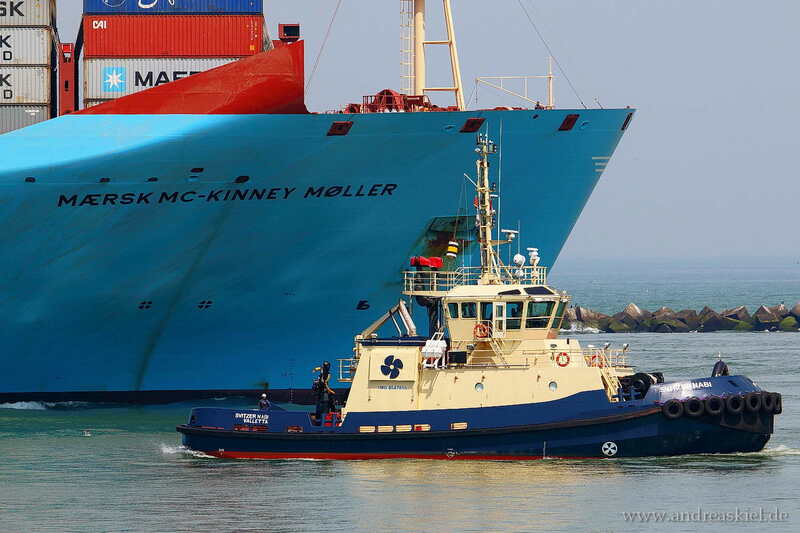 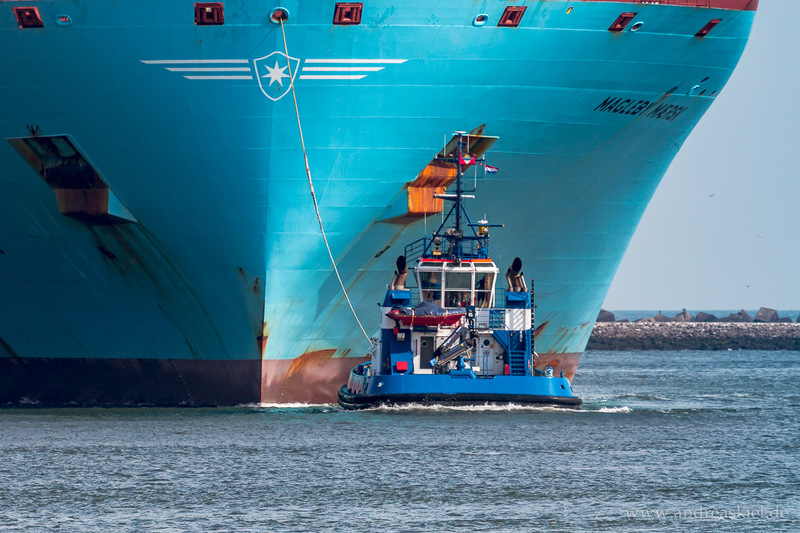 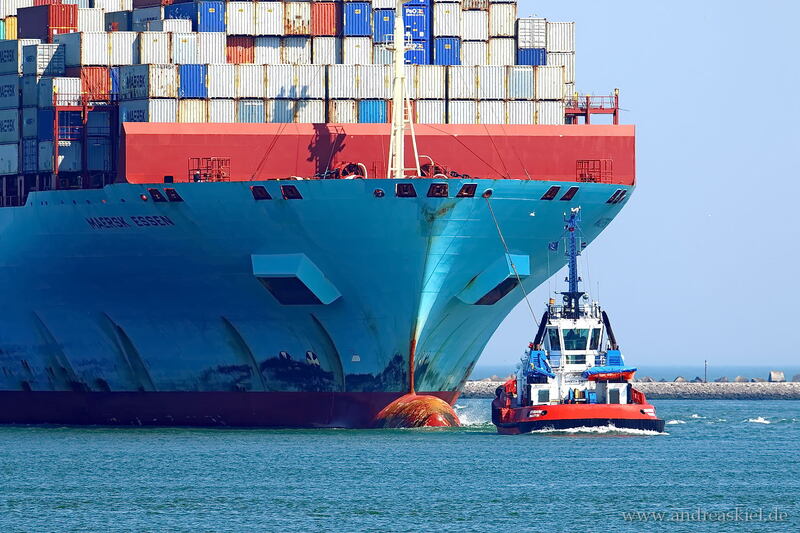 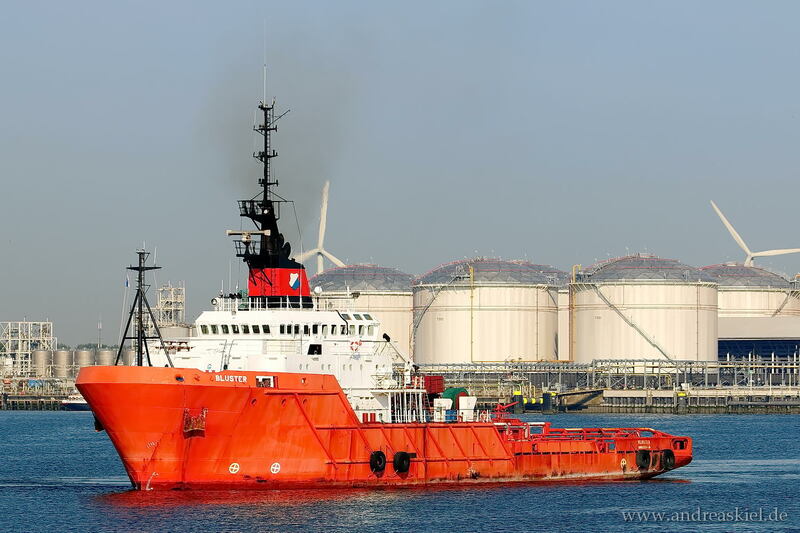 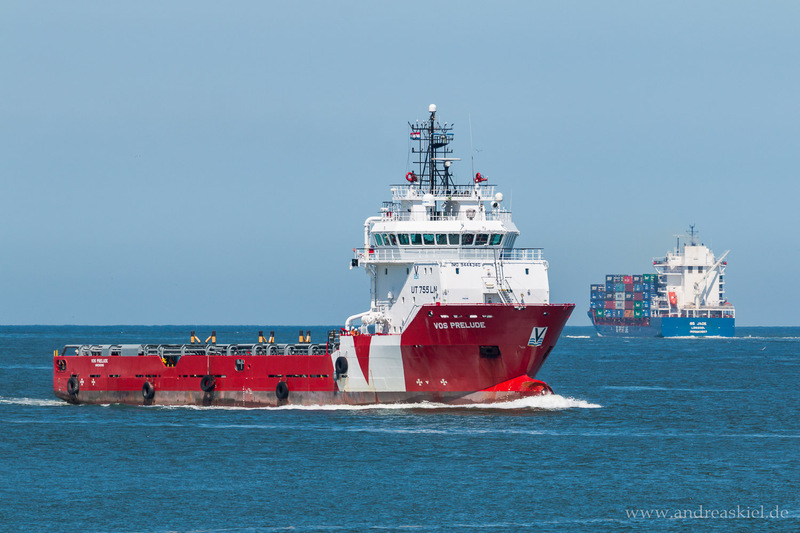 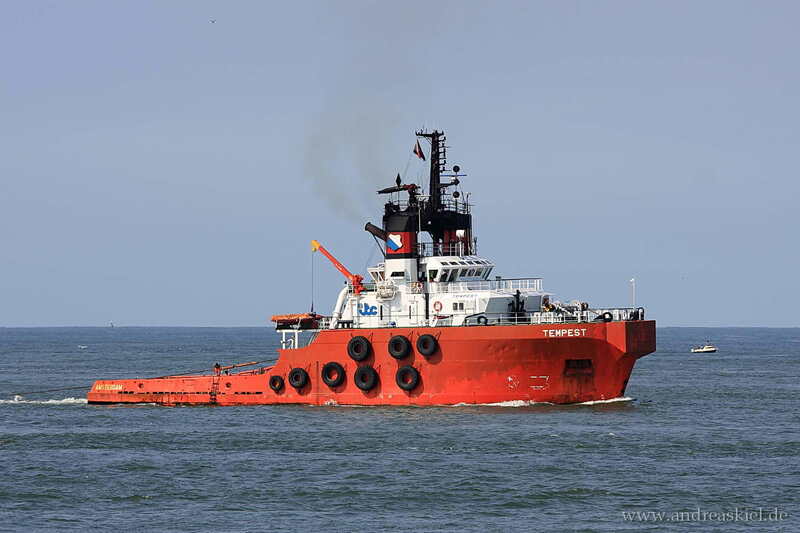 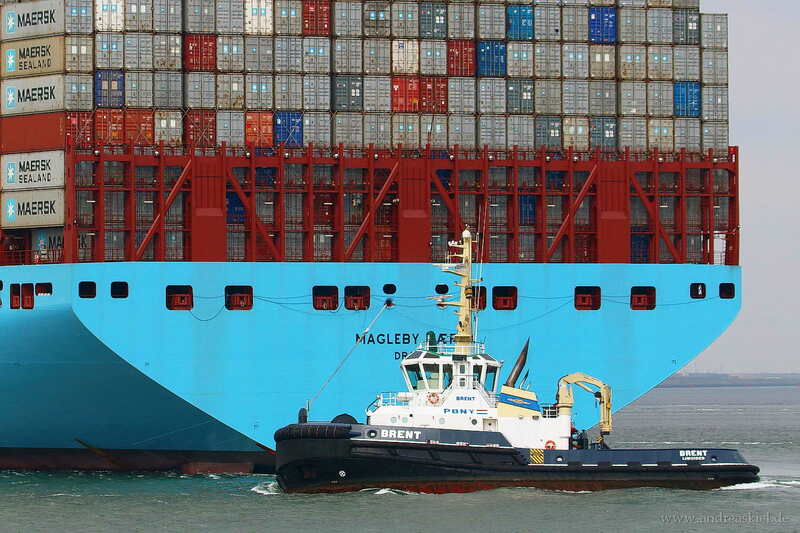 FD Unbeatable (Offshore Supply Tug, 82m x 16m, IMO:9636254) captured 11.06.2015.
ex. 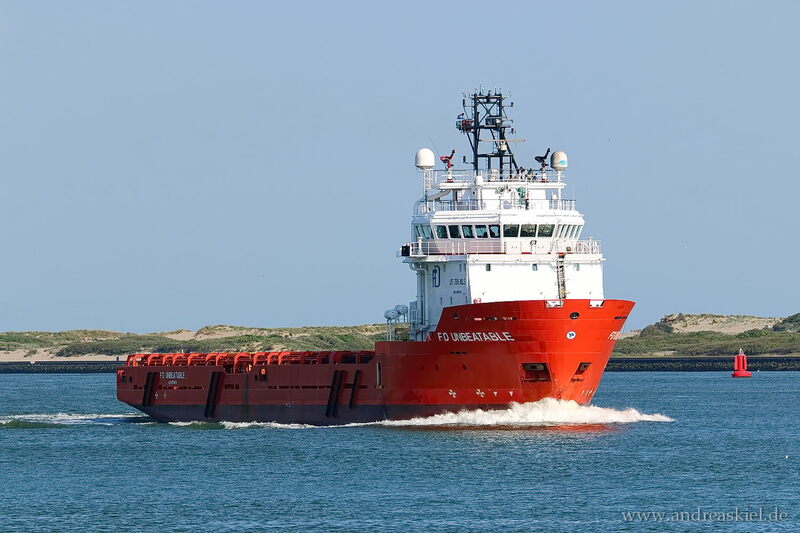 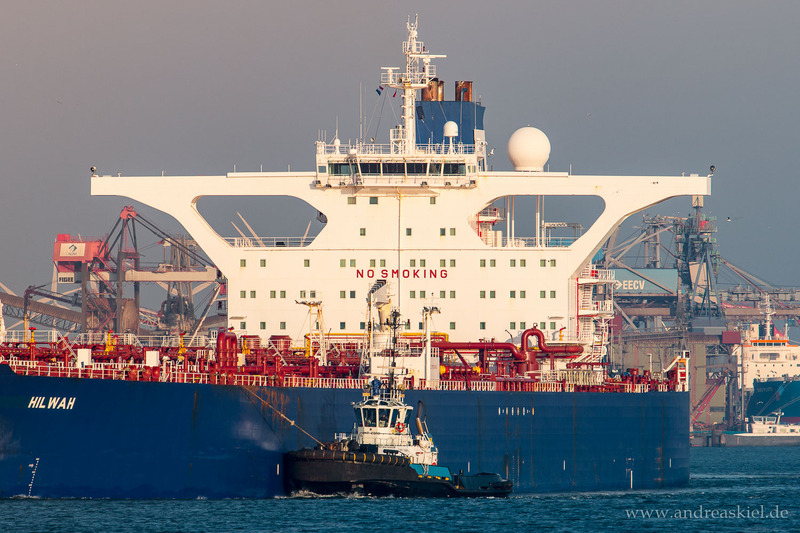 Noordhoek Singapore (renamed to Singapore Inspector, Offshore Tug Supply Ship, 65m x 14m, IMO:7606308) captured 08.08.2010. 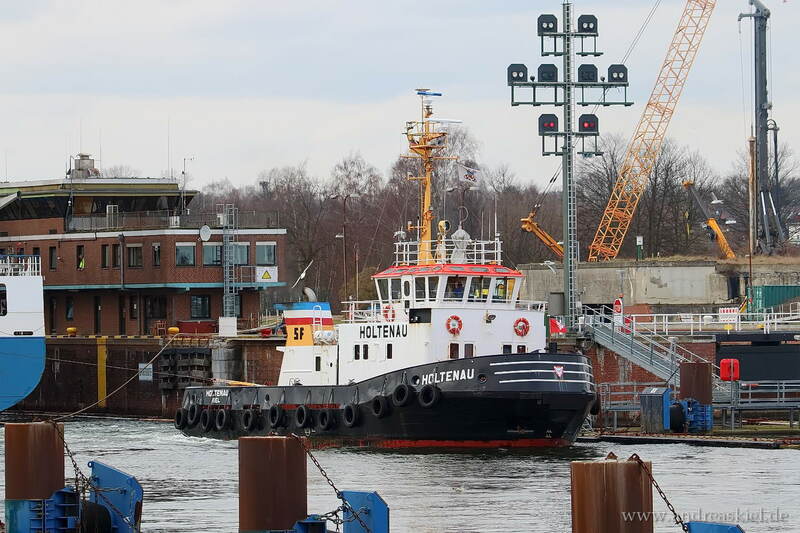 Holtenau (Tug, 27m x 9m, IMO:8200321) captured 28.03.2015. 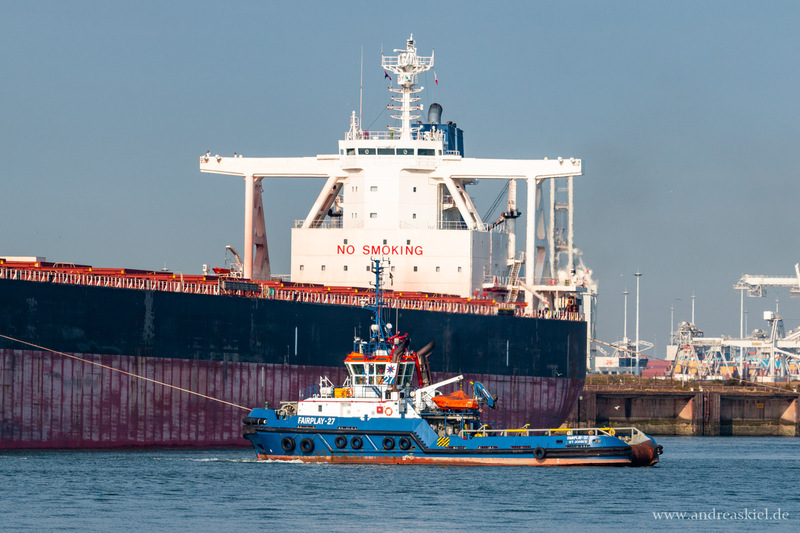 Thamesbank (Tug, 28m x 10m, IMO:9060704) captured 12.09.2014. 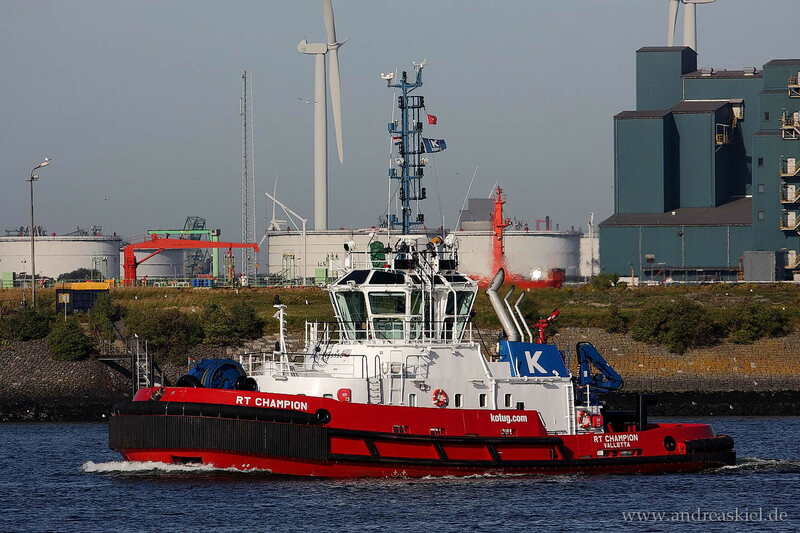 RT Champion (Tug, 29m x 12m, IMO:9489950) captured 18.08.2012. 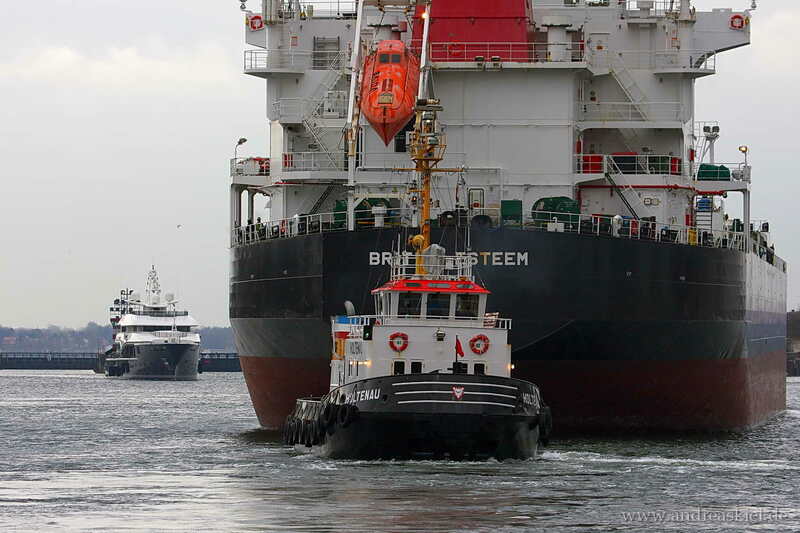 Brent (Tug, 32m x 13m, IMO:9507051) captured 13.09.2014. 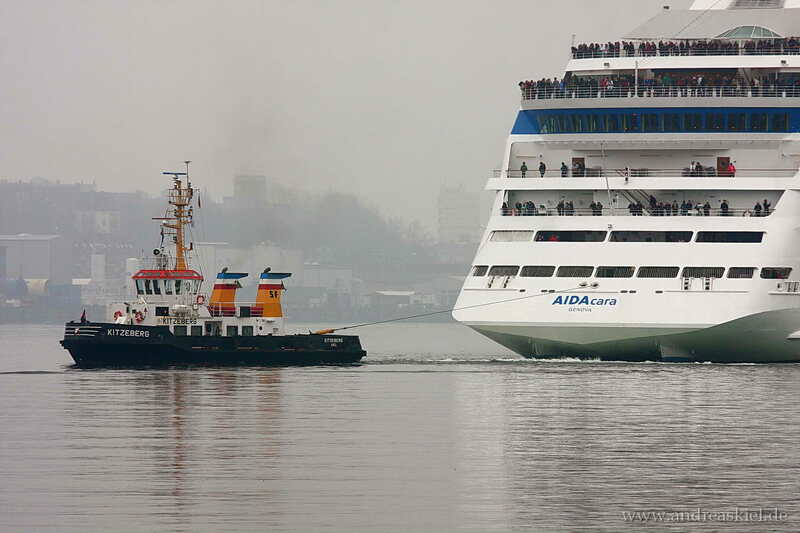 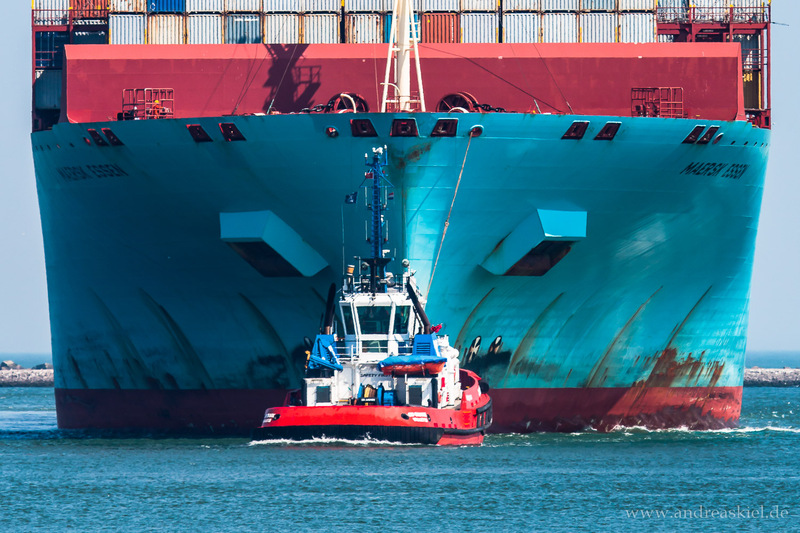 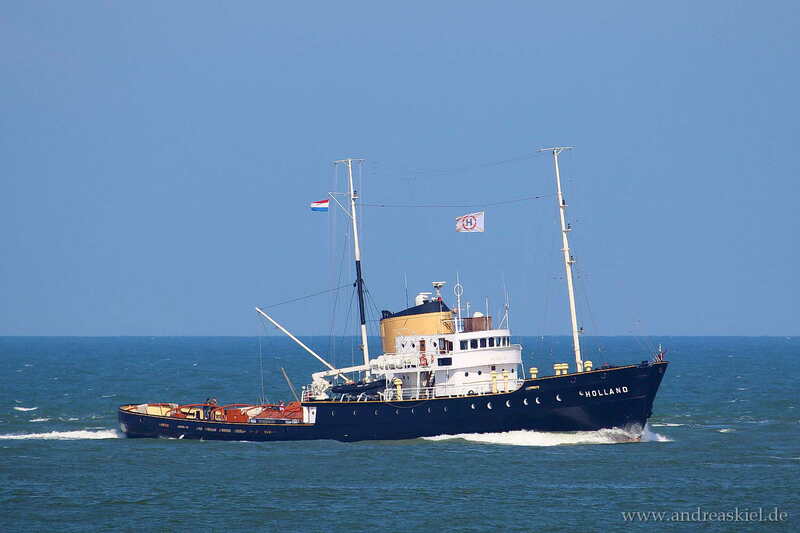 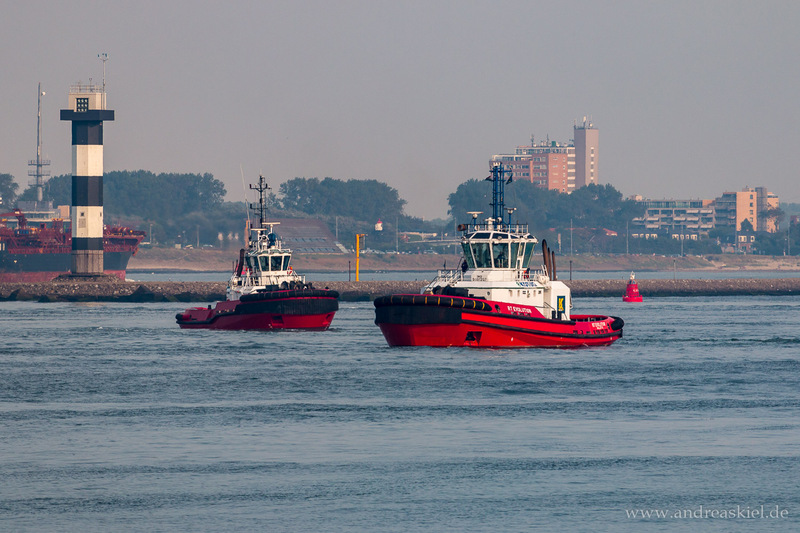 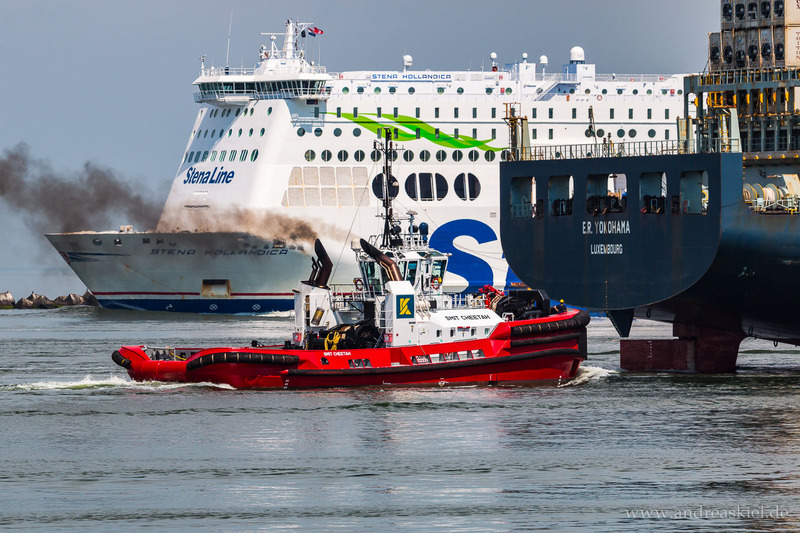 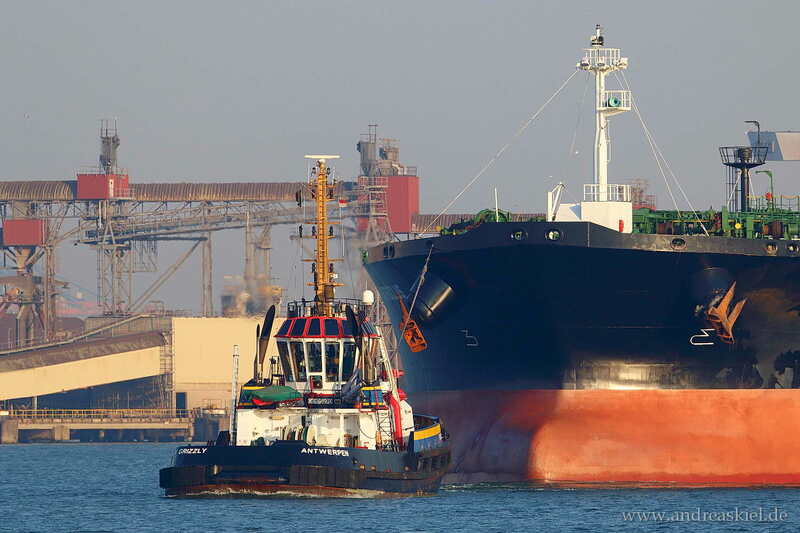 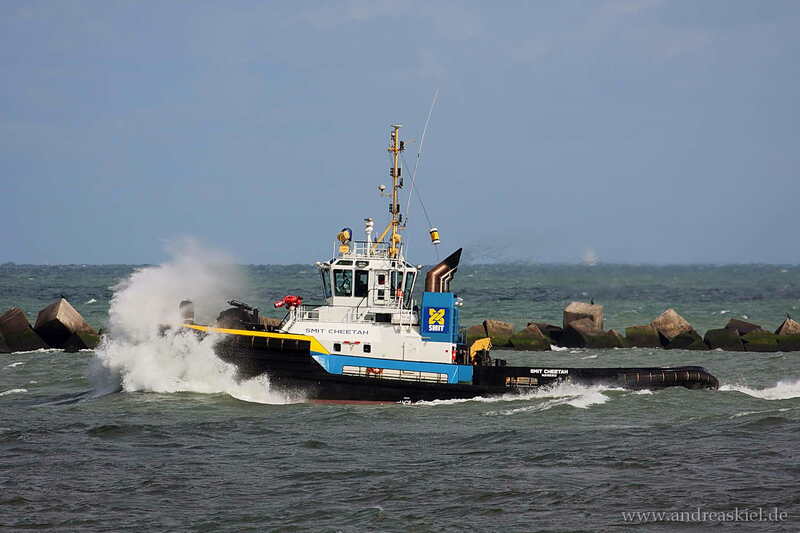 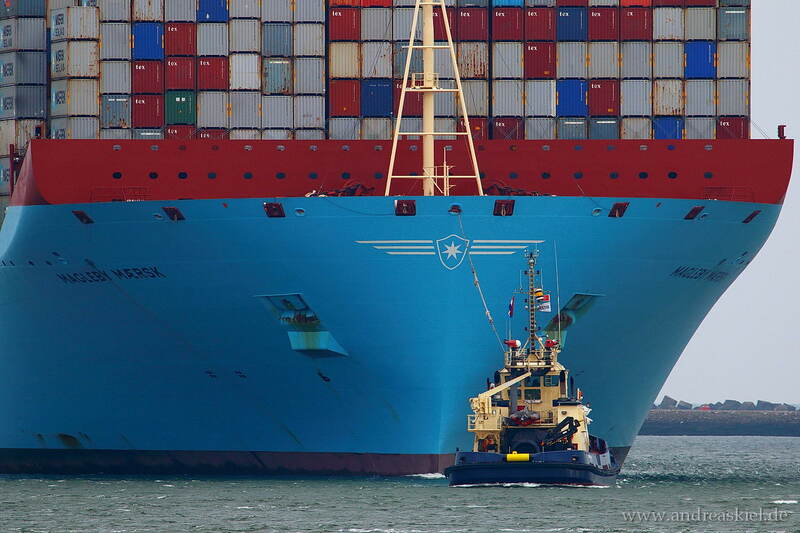 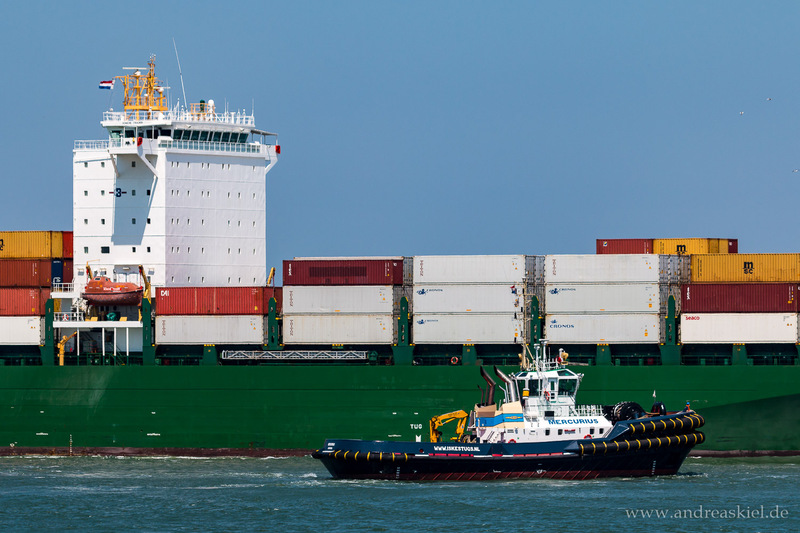 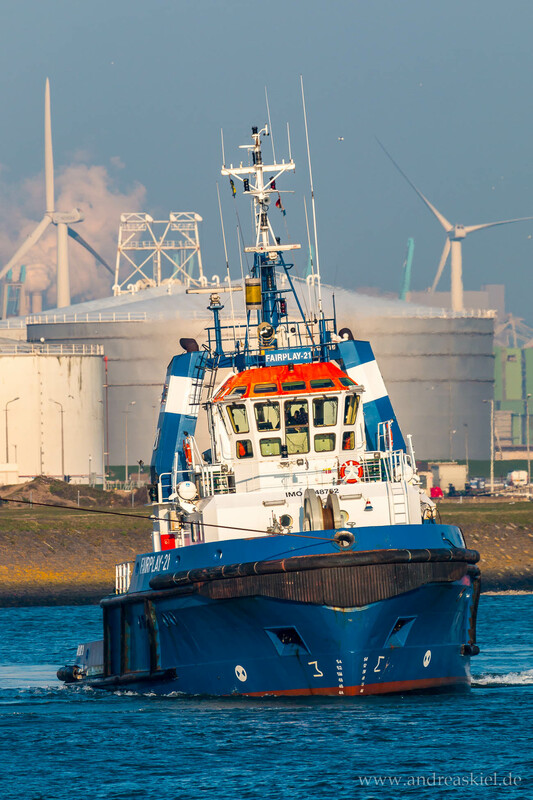 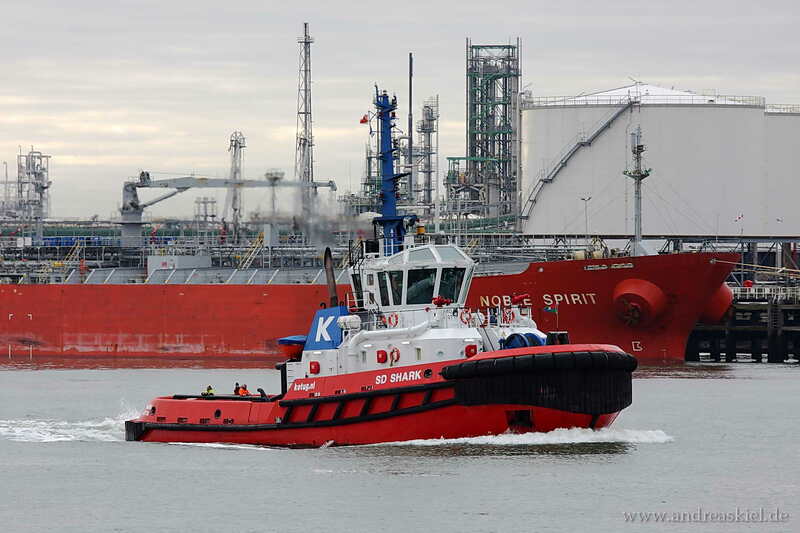 Holland (Tug, 57m x 10m, IMO:5153462) captured 12.09.2014. 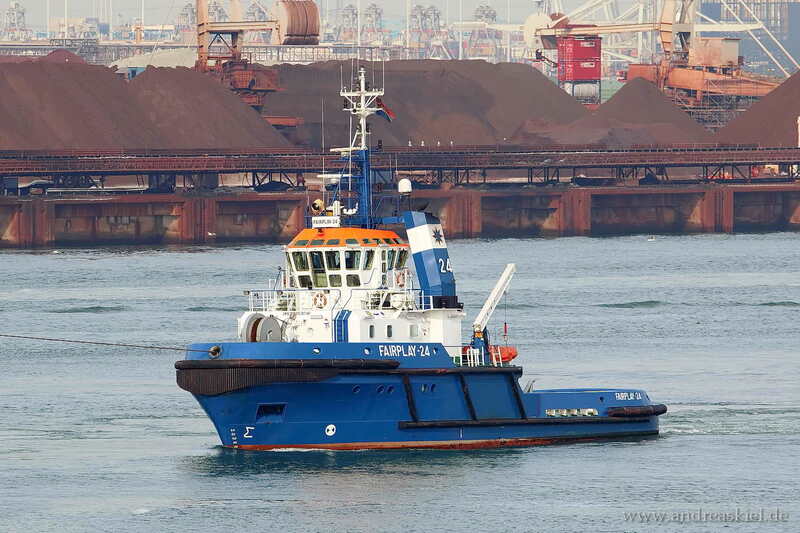 Union 11 (Tug, 30m x 10m, IMO:9120190) captured 19.07.2014. 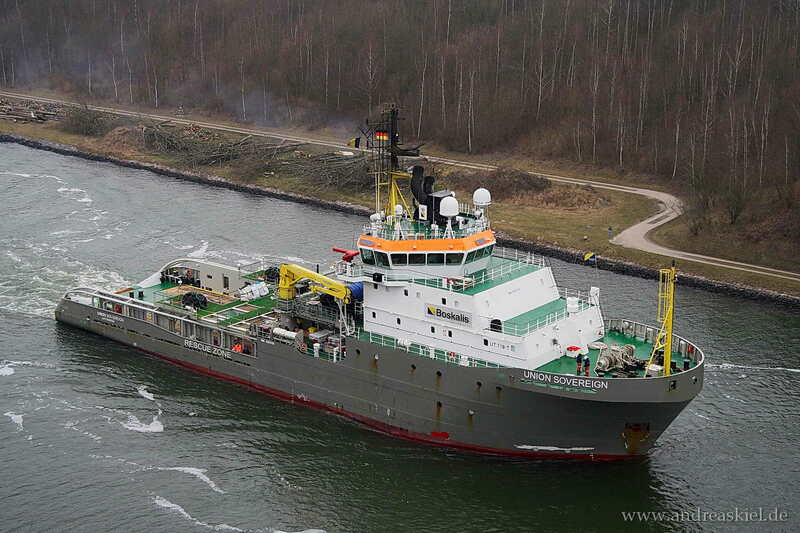 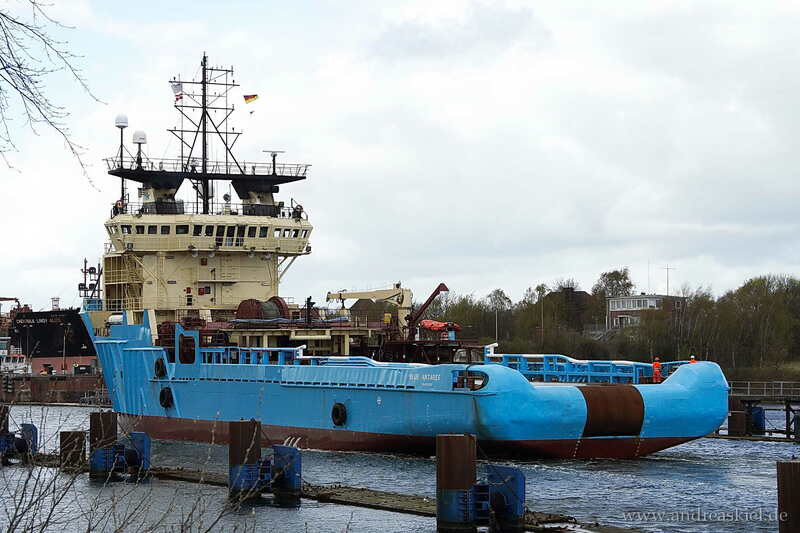 Bremen Fighter (Tug, 48m x 14m, IMO:9120190) captured 19.07.2014. 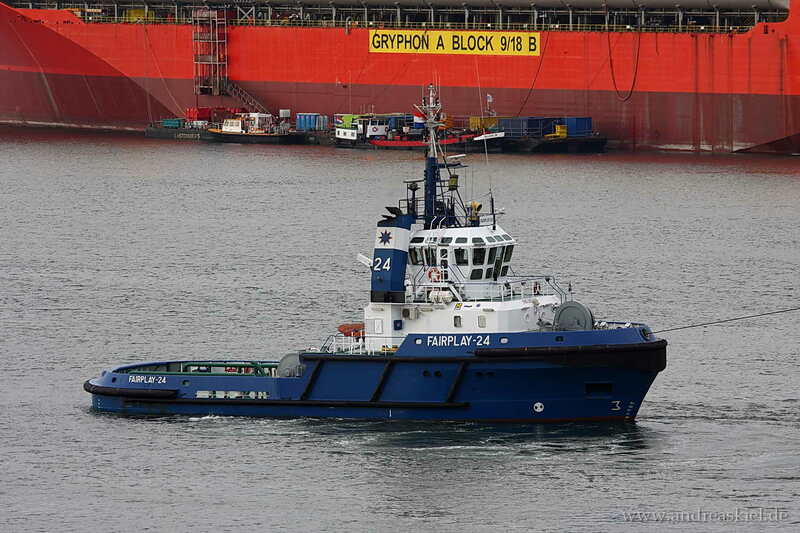 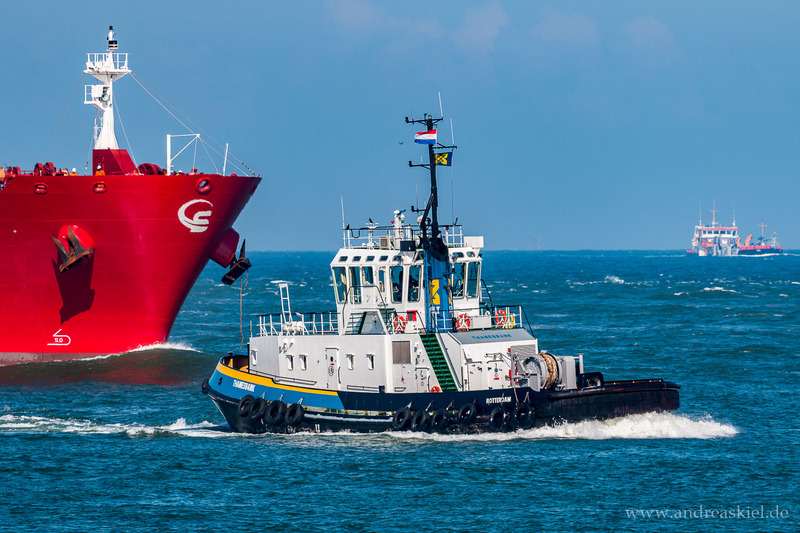 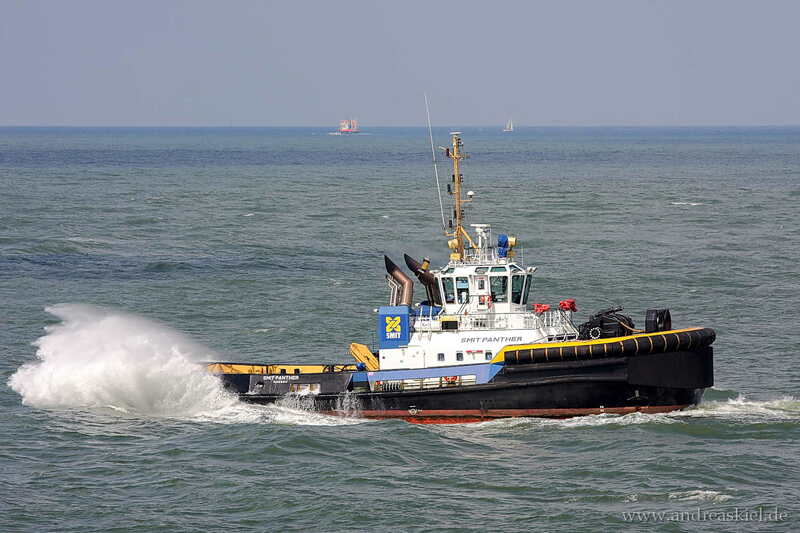 Fairplay-24 (Tug, 35m x 11m, IMO:9153616) captured 19.07.2014. 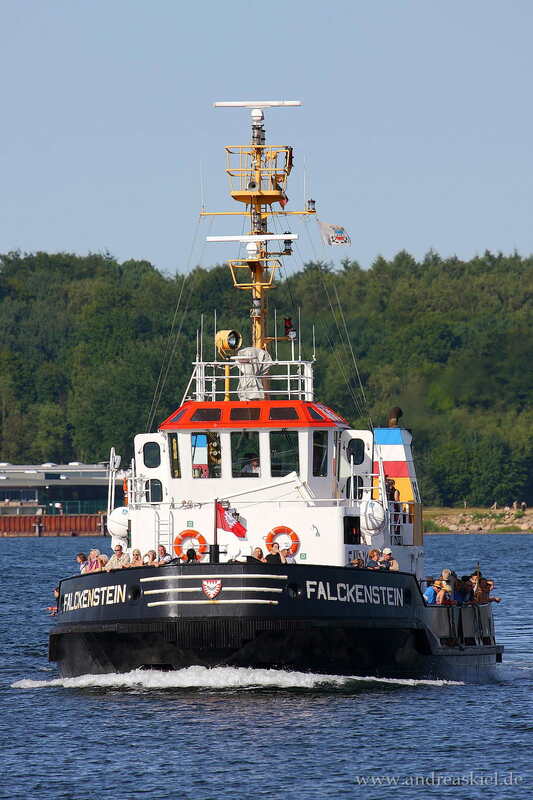 Falckenstein (Tug, 27m x 8m, IMO:8917704) captured 15.06.2014. 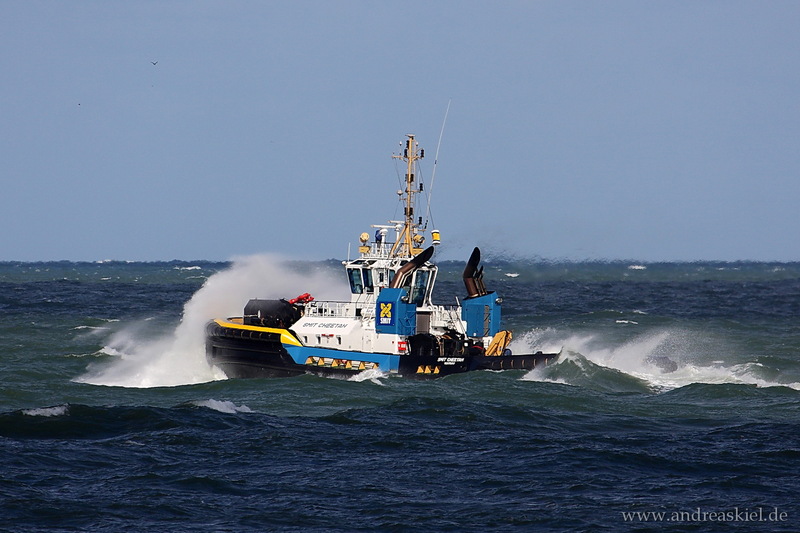 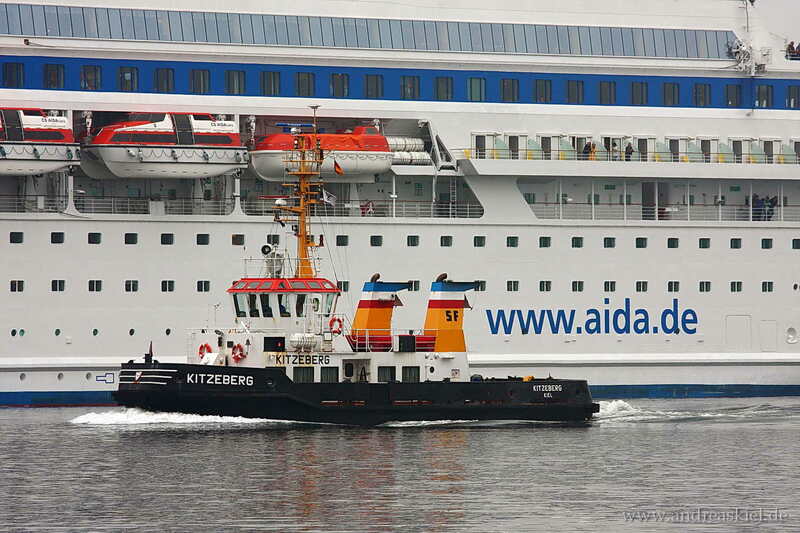 Kitzeberg (Tug, 27m x 9m, IMO:9041150) captured 05.04.2014. 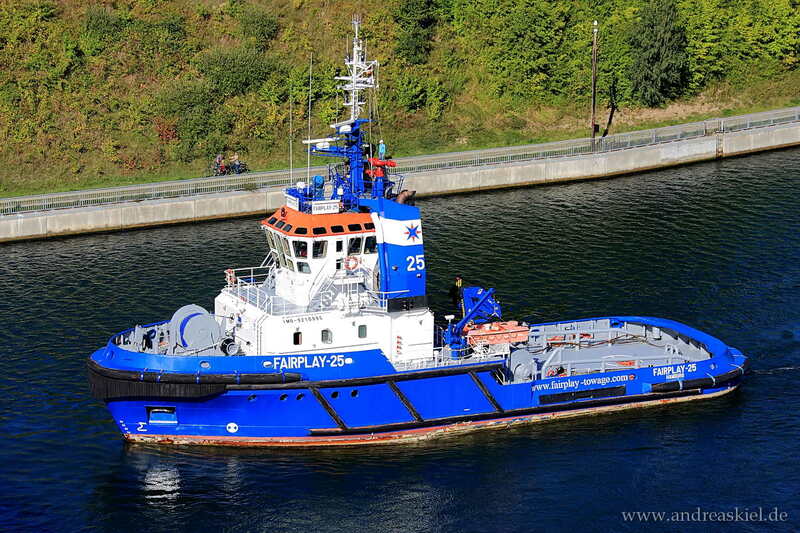 Fairplay-25 (Tug, 36m x 12m, IMO:9210995) captured 05.09.2010. 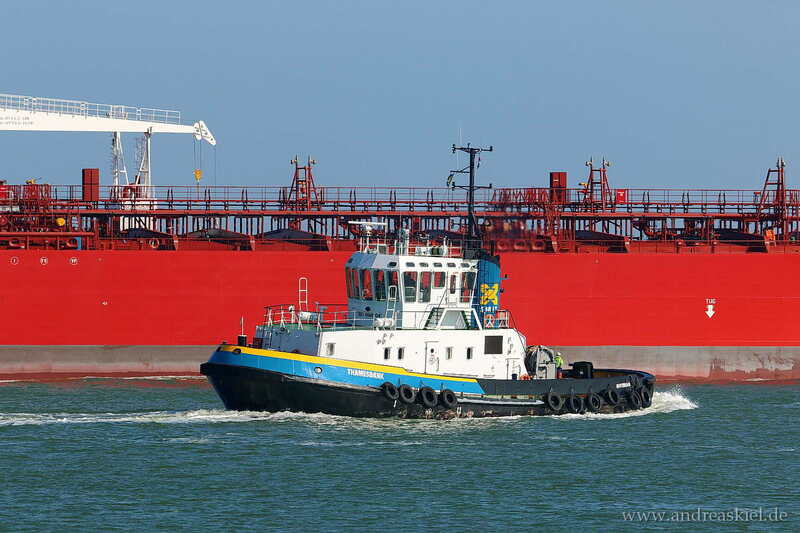 Smit Hudson (Tug, 28m x 10m, IMO:9402421) captured 18.08.2012.
ex. 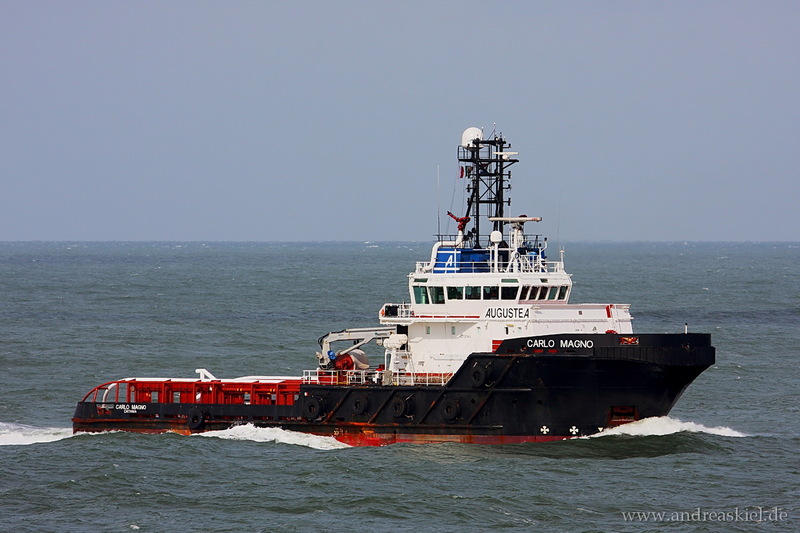 Stevens Arctic (renamed to Ocean Arctique, Tug, 33m x 12m, IMO:9261607) captured 30.09.2012. 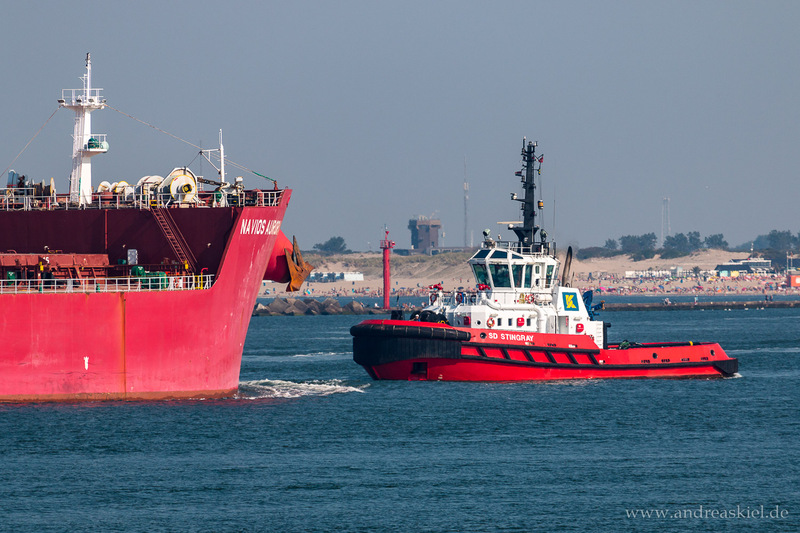 RT Leader (Tug, 29m x 12m, IMO:9489962) captured 17.08.2012. 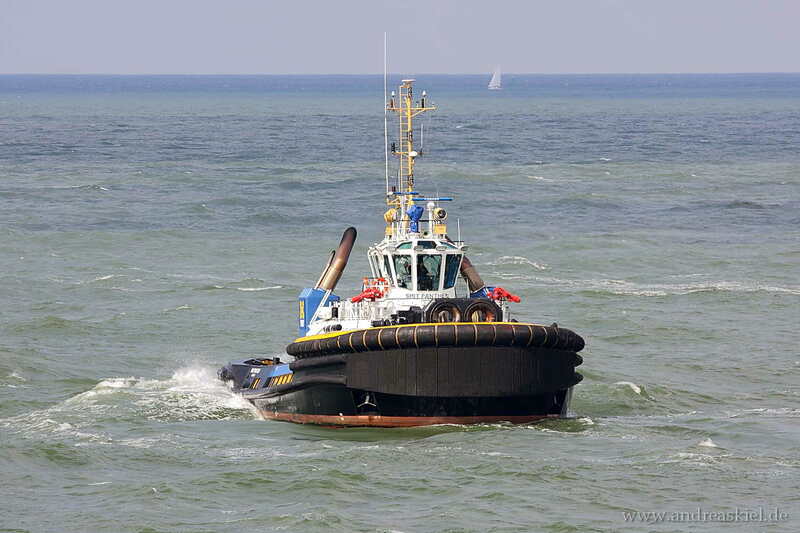 Fairplay-24 (Tug, 35m x 11m, IMO:9153616) captured 17.08.2012. 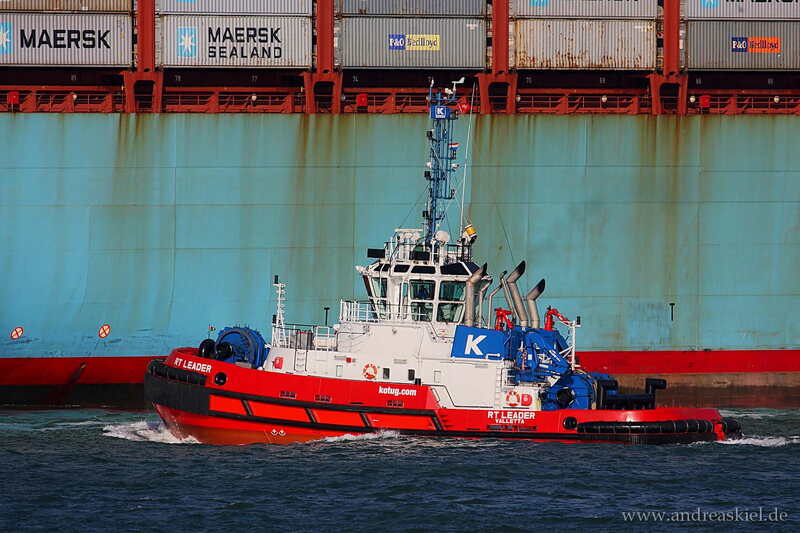 Smit Cheetah (Tug, 32m x 13m, IMO:9454876) captured 29.09.2012. 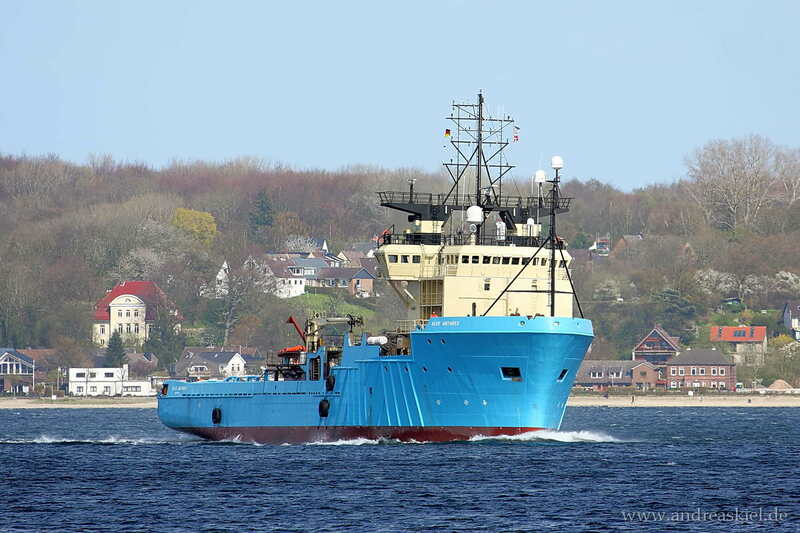 SD Shark (Tug, 32m x 12m, IMO:9410715) captured 29.09.2012. 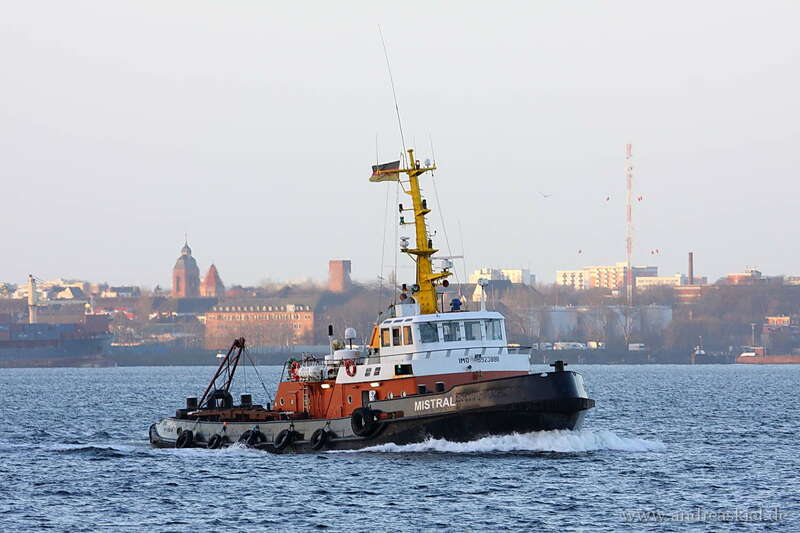 Union Sovereign (Offshore Tug, 67m x 15m, IMO:9262742) captured 01.03.2014. 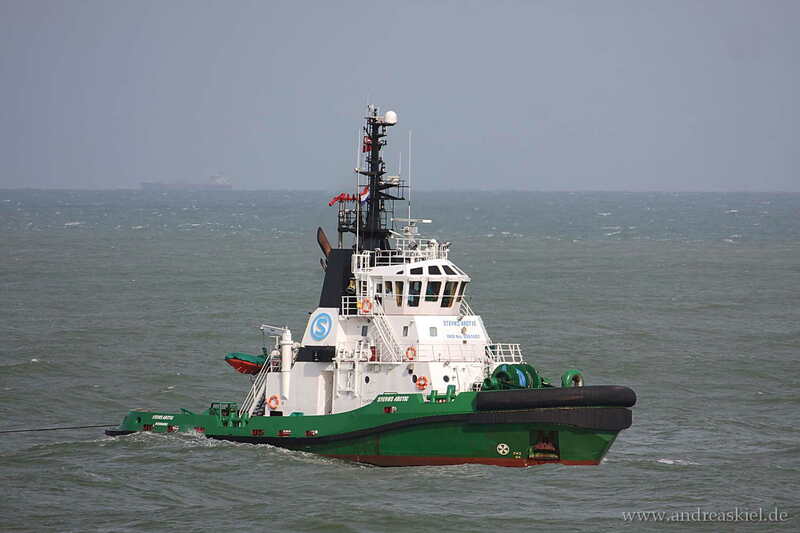 Tempest new: Indus (Tug, 47m x 14m, IMO:7515377) captured 06.08.2010. 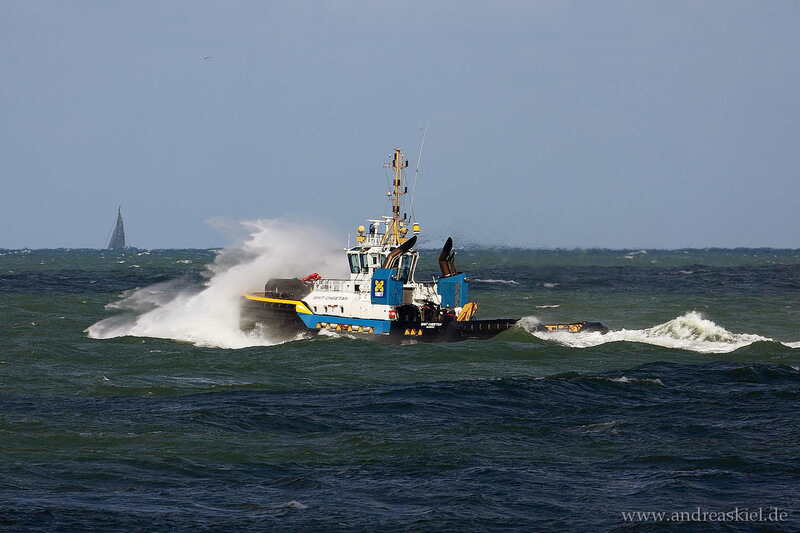 SD Shark (Tug, 32m x 12m, IMO:9410715) captured 10.01.2012. 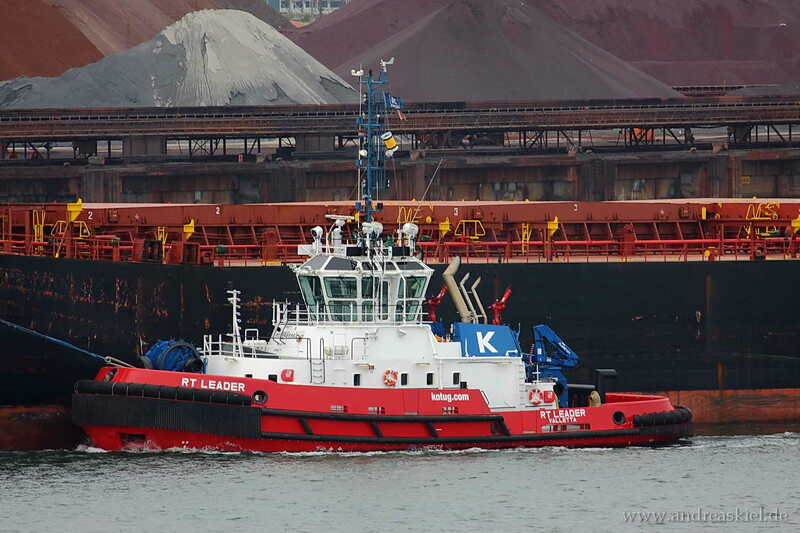 RT Leader (Tug, 29m x 12m, IMO:9489962) captured 06.04.2013.